Toyota’s C-HR delivers the goods to the compact crossover segment. Diamonds influence the design of the all-new Toyota C-HR. Take a coupe and blend it with a crossover and out comes the Toyota C-HR. Well, not exactly. Toyota’s newest model is definitely a crossover, but with coupe-like elements. It is a styling direction advanced previously by Nissan in the Juke, so we know that there is interest there. Indeed, customer interest is quite strong as this model averaged more than 3,000 units sold per month beginning last June and topped 5,200 units in March. This 2018 model went on sale in April last year and will have about 18 months of sales before the 2019 model arrives late this summer. 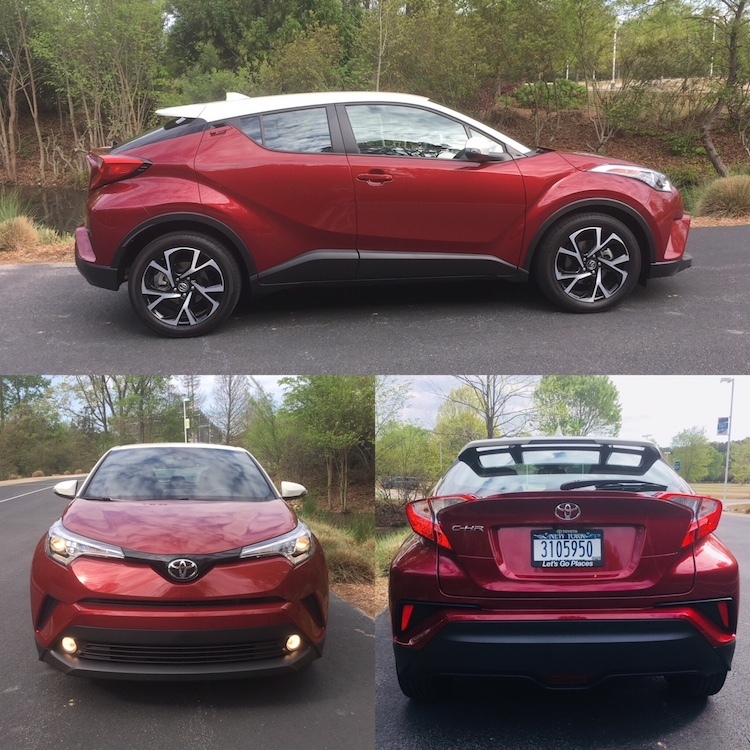 Toyota offers the 2018 C-HR in two trims: XLE ($22,500) and XLE Premium ($24,350). Originally planned as a Scion model before Toyota deep-sixed the brand, the C-HR offers a nod to the mono-spec pricing of Scion, while delivering some content differentiation. Prices here do not include the $995 destination charge. Say it with diamonds. Or at least design it that way. From the shape of the headlamps to the various side body panels, the purposeful diamond inspiration is present. Further, it continues to the rear fascia with its protruding tail lamps and diffuser trim. 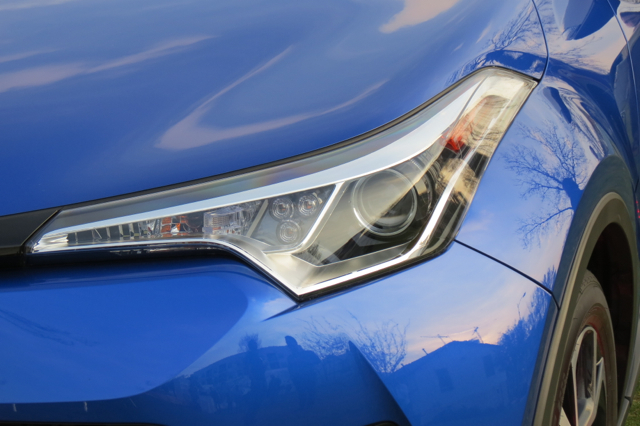 Up front, the 2018 C-HR has a distinctive and contemporary Toyota face, but with even wider headlamps. 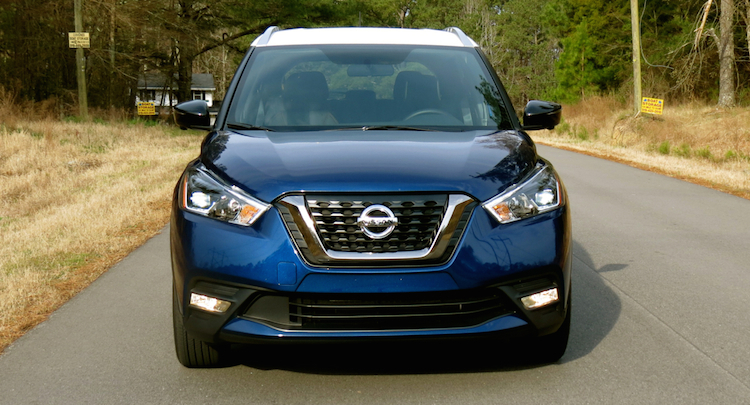 Below that a narrow lip splits the upper and lower grille with deep sculpting at the corners. The flared wheel wells give this model a muscular appearance. 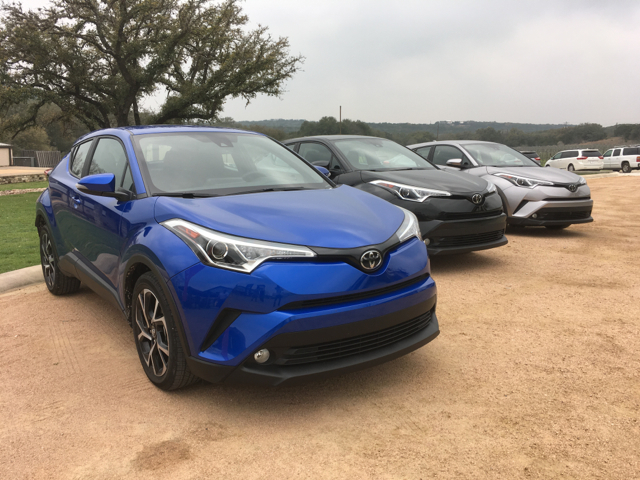 A line of 2018 Toyota C-HR models on display in Texas. 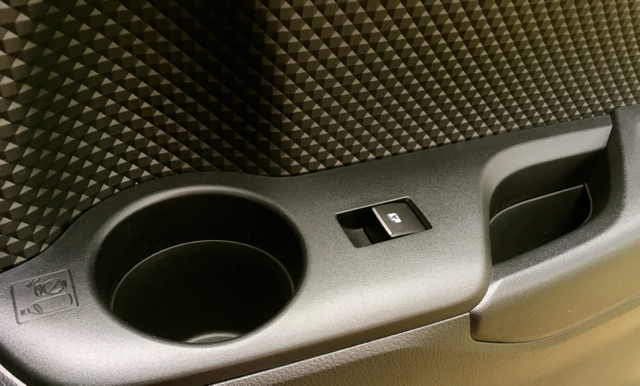 Cast your eyes along the sides and you may think you are looking at a coupe, but Toyota locates the rear door handles at the rear roof pillar where it meets the body. You are forgiven if you miss this — my younger son attempted to enter the rear compartment by means of the front door, thinking the passenger seat slides forward. It does not. The roofline flows downward to the rear, itself marked by a haunch-like layout. Some may find the design busy, likewise others may consider it wholly attractive. And if that is not enough, the optional contrasting white roof delivers its own set of style élan matched by white side mirror caps. Standard features include projector-beam halogen headlights, LED daytime running lights, 18-inch sport alloy wheels and body trim — rear lower diffuser with back rear and lip spoiler, vortex generators, underbody panels and front and rear wheel spats. 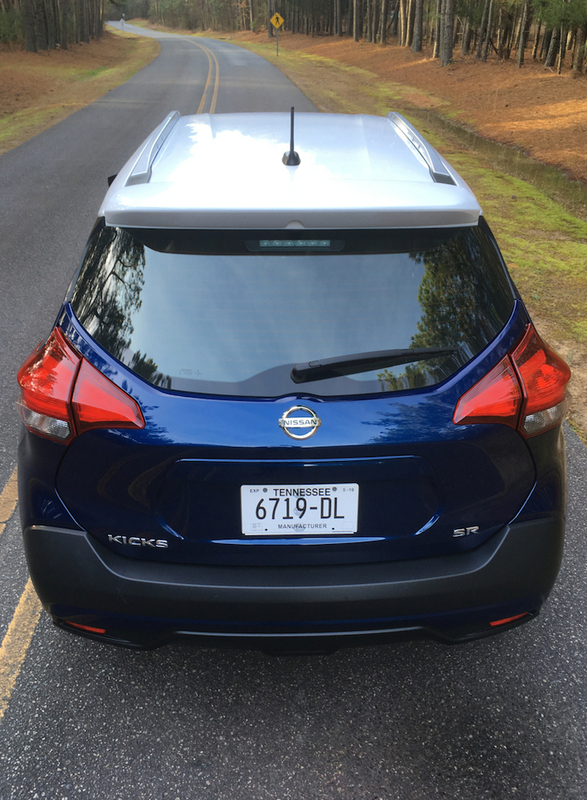 The XLE Premium adds integrated fog lights, a touch-sensitive liftgate and power side mirrors. 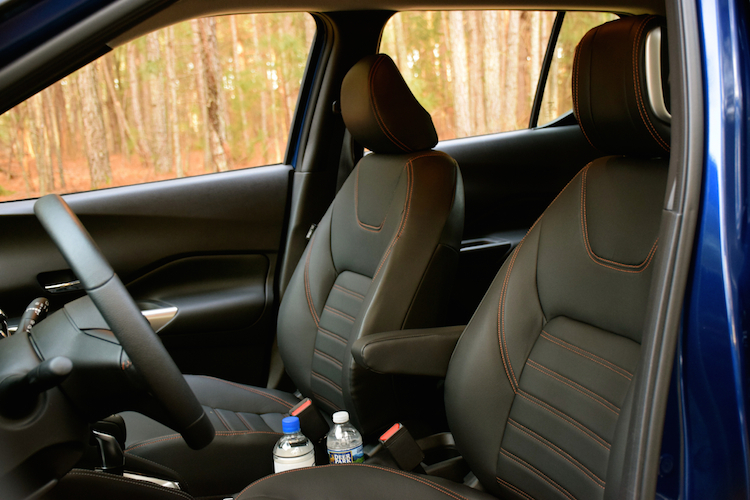 On paper, the Toyota C-HR seats five, but four is a better choice. Three adults sitting side by side in the back would find the space extremely tight. The front seats are supportive…if you are young. There just is not enough hip and leg support to please a mature man such as myself. Happily, the seat has power lumbar support and a heating element. I needed both while taking one long drive to sooth my lower parts. But there are some good things about this crossover’s interior, including a clean, layered and stitched dashboard design marked by an instrument panel hood and a center console topped by a color display rising from the dashboard. Moreover, the diamond theme advanced across the exterior carries over to the interior where door panels and the headliner express that particular motif. The look is unique, if not playful, likely to spark interest for youthful drivers. 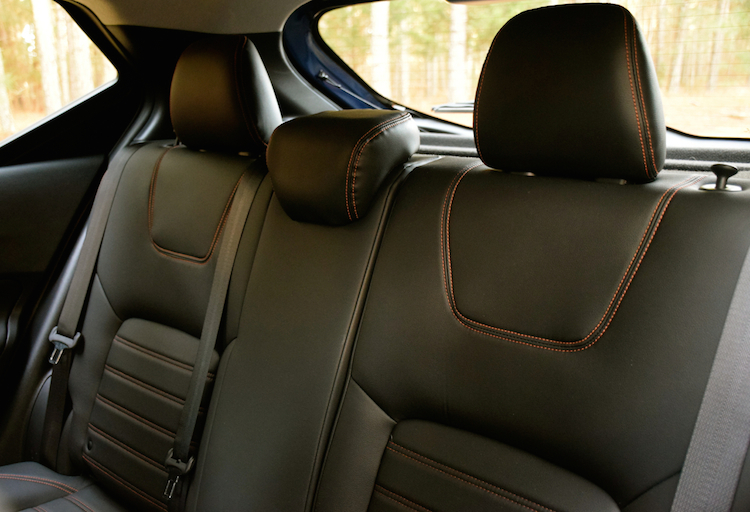 The rear bench seat is a one-piece design and this means it lacks a center armrest. The standard storage space measures just 19 cubic feet, expandable to 36.4 cubic feet with the seat folded. That is noticeably less than the Honda HR-V ( 23.2/55.9 cubic feet), but ahead of the standard 12.4 cubic feet in the Mazda CX-3, yet behind the 44.5 cubic feet with the seat folded. 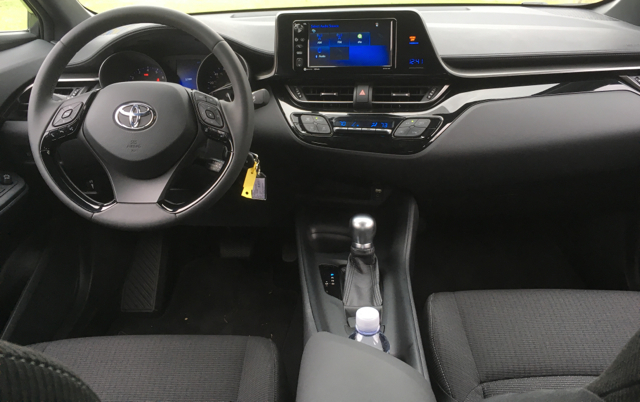 Standard features include keyless entry, power windows, a tilt-and-telescopic steering column, fabric-trimmed seats, dual-zone automatic climate control and a cargo area cover. The XLE Premium builds on this by supplying push-button start, a power driver’s seat with lumbar support, heated front seats and dual sun visors with illuminated vanity mirrors. If you are looking for a high-performance small crossover, the C-HR is not it. Then again, performance typically is not a characteristic of this segment. Nor even for the compact segment above it. What you get here is a 2.0-liter four-cylinder engine, generating 144 horsepower and 139 pound-feet of torque. Modest power at best, but it is no slouch either. 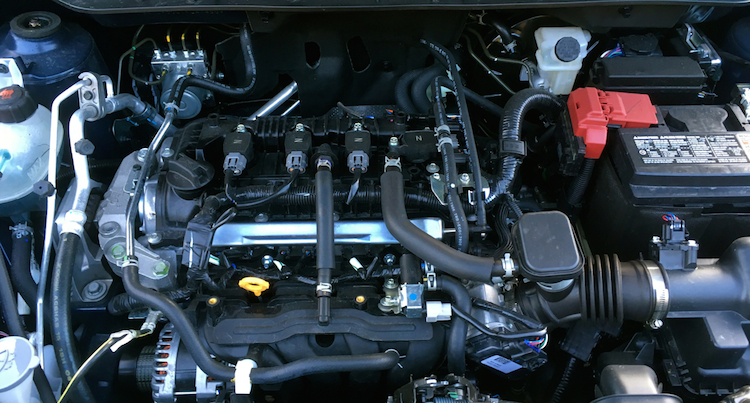 Toyota pairs this engine with a continuously variable automatic transmission and that means under full throttle you will hear the engine strain as the transmission sends power to the wheels. Step-off acceleration is certainly up to the task. Its relatively lightweight frame ($3,300) helps. Up the hill, down the dale and the C-HR seems at home. Steering is light to the touch and handling is sharp. You are still dealing with a high-profile vehicle, therefore the body rolls are noticeable on tight turns. As for fuel economy, expect a return in the high 20s mpg. This is not bad for the segment, but then it is about 10 mpg less than the similar-sized Corolla. Think about this for a moment. When gas prices are cheap, as in below $2 per gallon, this is not much of an issue. But gas prices are on the rise and will likely top $3 per gallon this summer. Toyota supplies a straightforward audio system with the 2018 C-HR. This six-speaker system does not offer satellite radio, but it does include Aha with access to more than 100,000 radio stations. Bluetooth wireless technology, two USB ports, an auxiliary audio jack and a 7-inch color display are also included. Do you want navigation? Sorry, it is not included. Not even Scout GPS Link, an app that Toyota usually relies on to supply directions is also absent. Without Apple CarPlay or Android Auto smartphone compatibility, drivers must rely on their smartphones directly to supply directions. On the safety front, the Toyota Safety Sense P (TSS-P) suite of driver-assist technologies includes a pre-collision system with pedestrian detection, lane departure alert with steering assist, automatic high beams and full-speed radar cruise control. Also included is blind spot monitoring with rear cross-traffic alert. 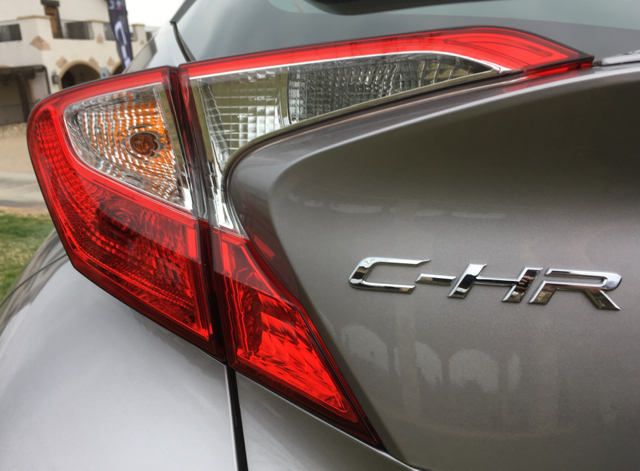 The C-HR takes an approach to the segment unlike most of its competitors. 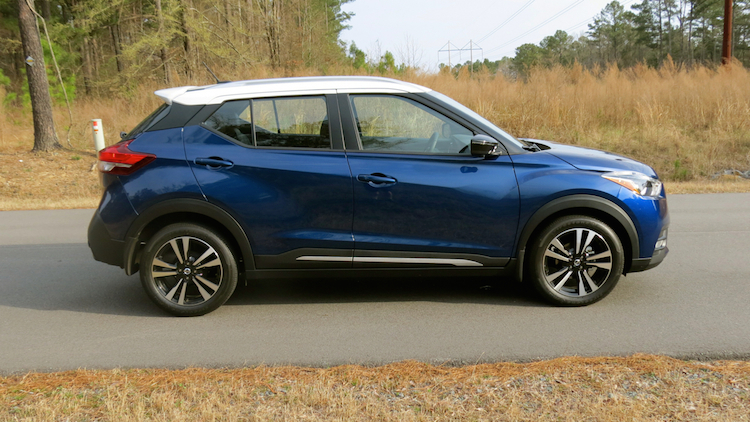 Sure, the upcoming Nissan Kicks (replacement for the Juke) will take a familiar front-wheel drive-only approach and likely deliver its ow take on a car-like drive. As for the Toyota C-HR, there are a few things we’d like to see going forward. Hatchback, but I can assure you it delivers a noticeable performance edge over the C-HR with the same engine. Matching the Corolla’s performance numbers is an easily attainable goal. Besting it by rolling out a turbo version would be awesome. A layered dash and hidden diamonds mark the interior. Second, let’s offer a manual. Yes, I know: manual transmission take rates are abysmally low in the US. Some manufacturers have abandoned them, while others restrict manuals to their weakest or base model. Offering a manual would liven the segment and might just interest young buyers with this form of driving. Third, give us all-wheel drive. Just like the manual, an all-wheel-drive version is available in Europe. I believe Toyota loses some customers without it, especially in colder areas. Definitely, add more power to the engine before expanding the running gear to gain all-wheel drive. Fourth, make tech great again. Toyota delivers an odd split when it comes to the C-HR and technology. On the one hand, they are ahead of the competition with driver-assist features. Other manufacturers will certainly follow, but Toyota has the clear lead. On the other hand, Toyota is behind the curve in infotainment technology, at least when it comes to navigation. In this case, Toyota offers the customer zero, zip, nada. This means when you need directions, you will access your phone and will likely hold said phone in your hand as you drive. Do you see what I mean? In this case, expect the distracted driving technology to kick in often as distracted drivers look away from the road to their smartphones. All in all, Toyota continues to show a commitment to entry-level vehicles and in ways other manufacturers do not always match. That you can get this vehicle for under $25,000 is an important price point for first-time new car buyers. Further, there are several other Toyota models starting below $20,000, offering further credence of Toyota’s commitment to new car shoppers. 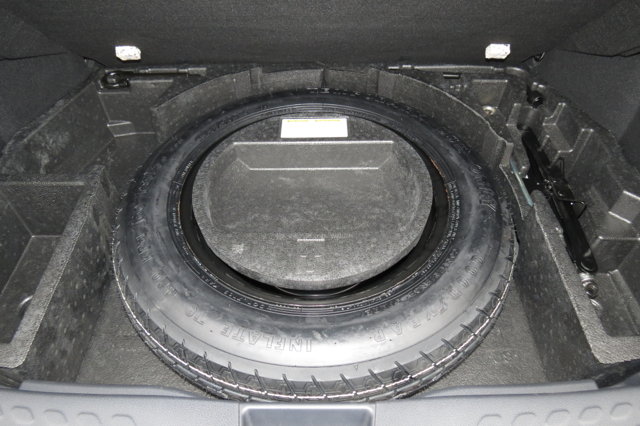 A donut for you: the Toyota C-HR offers a temporary spare.